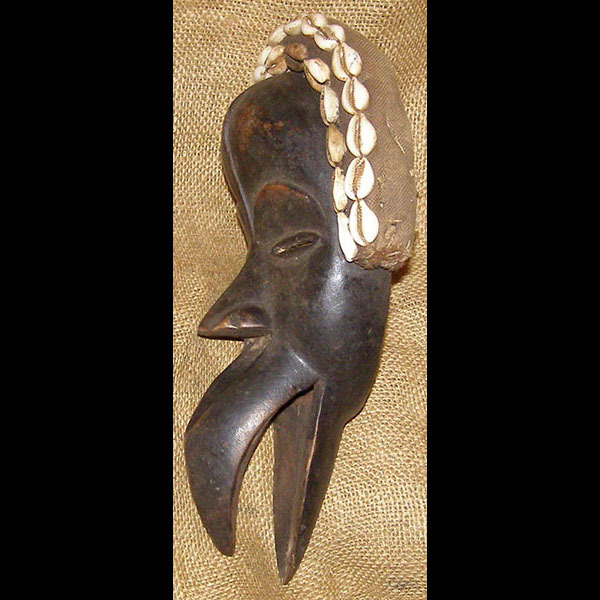 African art and masks of the Dan. This finely detailed mask is hand carved of wood by the Dan people. It is 10.5 inches tall, and is adorned with cowrie shells.